JC Pool and Spa owner Doug Lacey hadn’t planned on a career in the swimming pool industry when he started at a local pool service company as a 16-year old helper on summer break from school. Coming back summer and after summer, he rose through the ranks, learned all he could and eventually became the general manager of that pool company. Once Doug began supervising a team of field technicians and working more closely with customers, he became keenly aware of the high level of service customers expected and deserved. "Just as important, I also realized how I could provide that level of service, and ultimately have happier, more loyal customers," explains Doug. When Doug founded JC Pool and Spa in 2008, he integrated a simple, yet powerful philosophy into every aspect of his company – Experience ♦ Excellence. 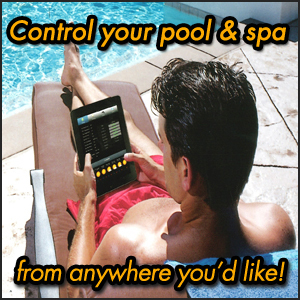 Taken separately, these words represent the value JC Pool and Spa delivers to its customers. Together, this phrase signifies the feeling customers will get after working with JC Pool and Spa…the feeling that they experienced excellence. We deliver on our Experience ♦ Excellence mantra in many ways. All customers, whether they’re calling on the phone or sending an email receive prompt, professional attention. We continually train our technicians so they are prepared and knowledgeable on how to best resolve a service call. 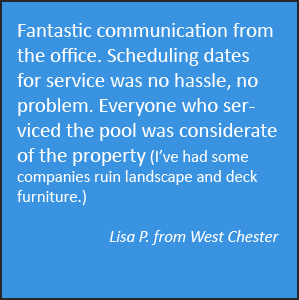 We always leave a detailed explanation of the services we performed and the status of the pool or spa so customers aren’t left wondering. Customers receive fair, competitive pricing, without any high-pressure sales tactics. Most importantly, we stand behind our work 100%. Don’t just take our word about our work ethic. Click here to read why our customers choose to work with us. 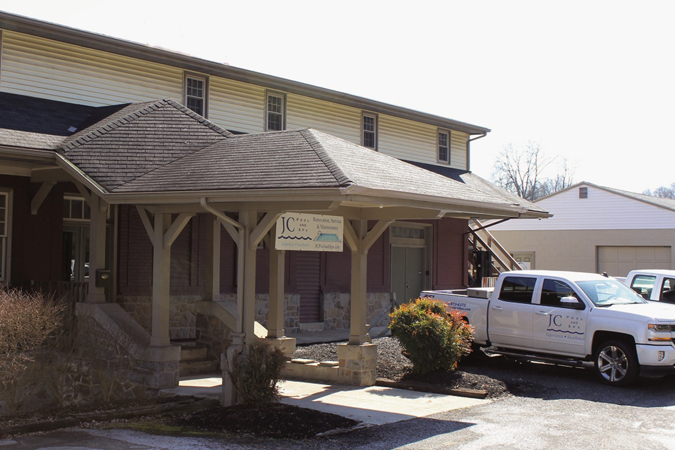 JC Pool and Spa is truly a family-owned and operated small business. With Doug responsible for the overall management of the company, including sales, service technicians and day-to-day operations, his wife Marie manages the office including customer service, accounting and marketing. Not to be left out are the couple’s two children – Julia and Charley – after whom the company was named. 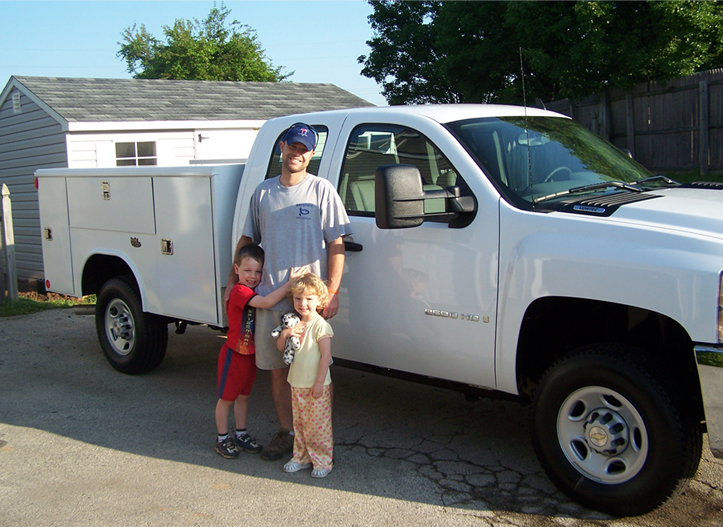 Doug, Charley and Julia in front of the very first truck purchased for JC Pool and Spa.